Hoi An and Hue listed in "12 Amazing Asian Cities You Should Visit Before You Die"
The Culture Trip has explored the 12 most amazing Asian cities that everyone should aim to visit at least once in their lifetime. According to The Culture Trip, Hoi An is one of the most beautiful Vietnamese cities. Its Old Town is classified as a UNESCO World Heritage Site, as the area has over 2000 years of history. Back then, Hoi An used to be the main strategic port of the Cham Kingdom, where they controlled the spice trade. 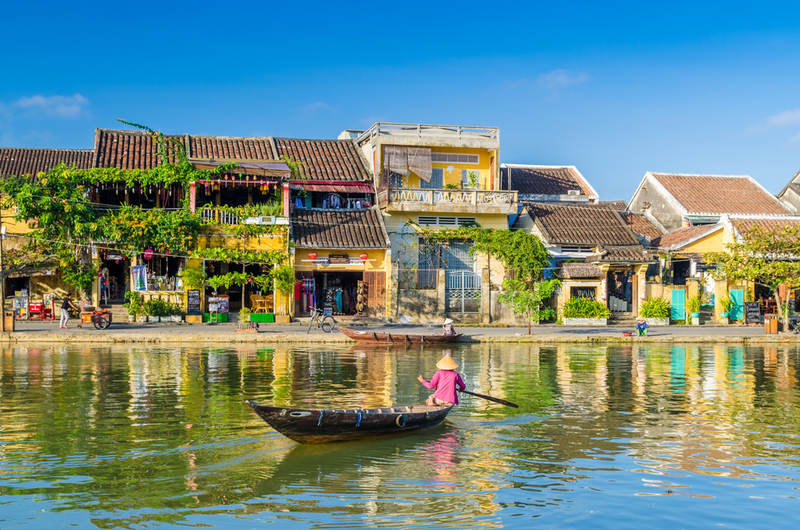 From the 16th to the 17th century, it was an important international port, and influences from all around are still reflected in Hoi An, even though the main cultural heritage comes from the Cham people, followed by the Chinese. The Old Town is incredibly beautiful to walk around, with all its narrow and winding lanes, and Chinese style shop houses – it gets even more atmospheric at sunset. It is also very common, and good value for money, to go to the local tailor for custom made suits. Hue is also one of the listed cities. Located right in the centre of Vietnam, the former imperial capital – Hue – is one of the most stunning places to visit with its endless number of breathtaking pagodas, palaces, temples, century old Citadel walls, delicious cuisine and rich history. This charming UNESCO World Heritage Site is situated on the beautiful Perfume River, which is most picturesque on sunny days. Hue is the perfect place for those in search of cultural adventures; there is never a shortage of things to do or see.